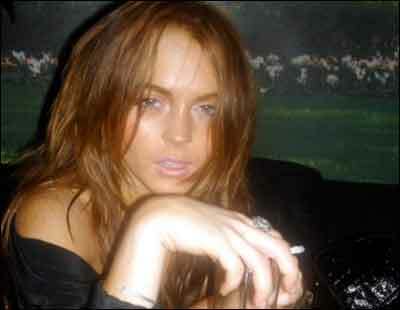 Lindsay Lohan Is So Totally Going To Jail. Hopefully. Ooooooh!! Someone’s gonna get it! Someone’s gonna get it! Either Lindsay Lohan has got a set of brass ones, or she’s just plain stooopid. Lindsay Lohan is rolling the dice in her DUI probation case in a big way — because we’ve learned she’s headed to Cannes … not her alcohol ed class. TMZ broke the story that the judge has ordered LiLo to show proof next Thursday that she had completed 13 alcohol ed classes, but she’s only completed nine. Simple math — If Lindsay doesn’t complete at least four more classes, she’s in violation of probation and the judge has made it clear … Lindsay will go to jail. Sources say Lindsay — who is in NYC right now — has made it clear she’s flying to France for the film festival. We’re told she’s going to publicize her movie about Linda Lovelace. We’re told Lindsay will fly from NYC to L.A. today, get her stuff and then head off to France tomorrow. A lot of flying … but no alcohol ed. And there’s this … if Lindsay doesn’t complete the required number of classes and doesn’t show up in court next Wed., it’s standard operating procedure for the judge to issue a warrant for her arrest. How awesome will it be if the cops are waiting for Lindsay at the airport when she gets back from Cannes! She could be arrested all “Cops” style. Oh man, that would be fun! For us, anyway – Lindsay probably won’t enjoy it so much. Oh well, serves her right. 50 queries in 0.658 seconds.